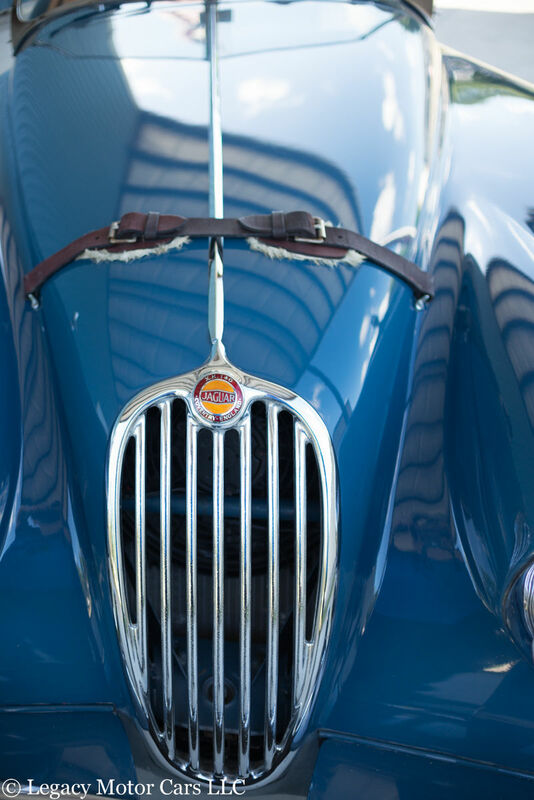 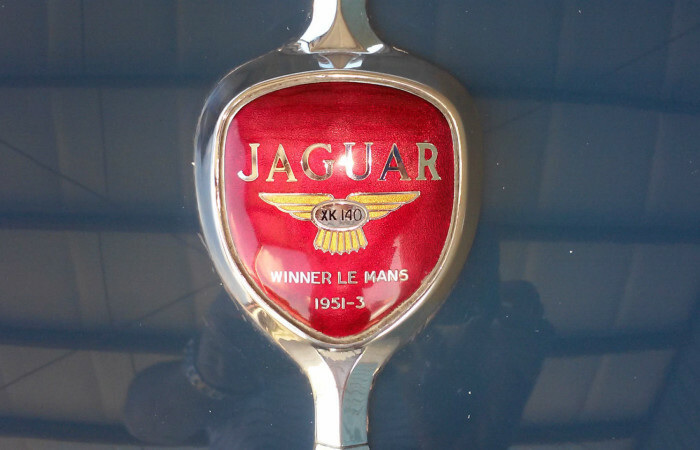 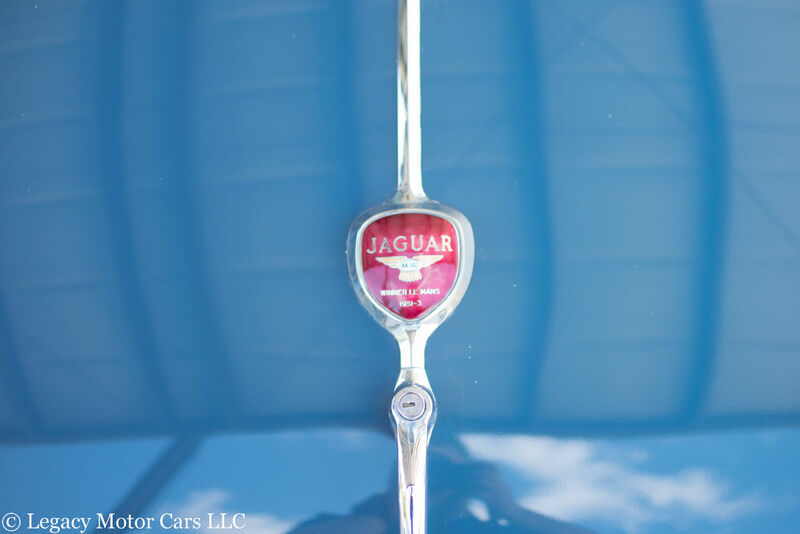 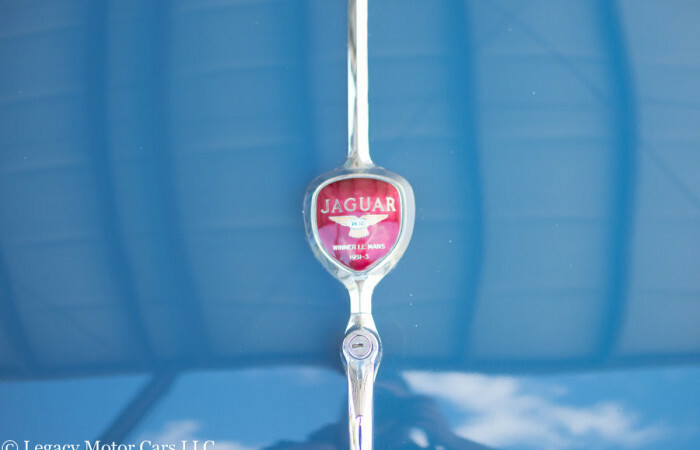 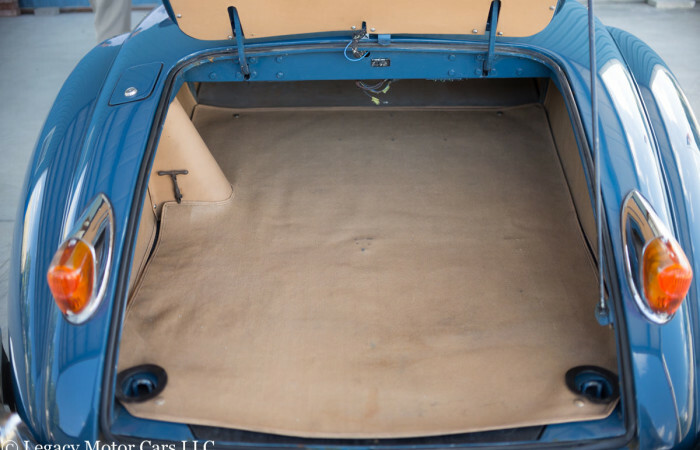 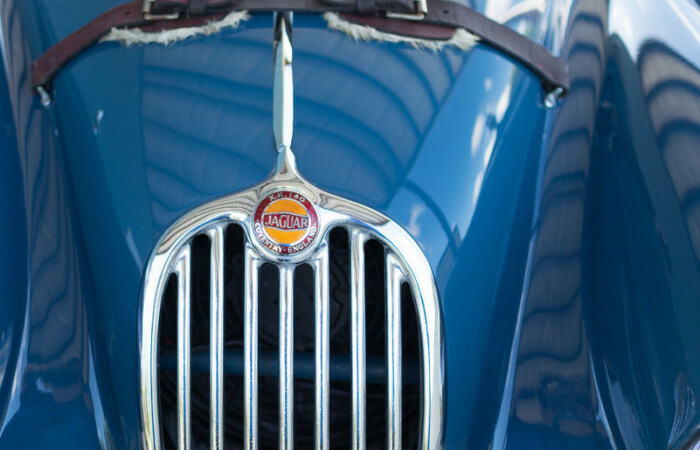 This 1957 Jaguar XK140 OTS (open two seater) is finished in Cotswold Blue over tan leather interior. 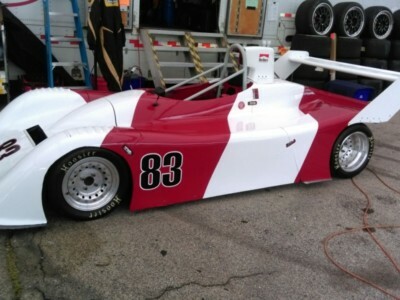 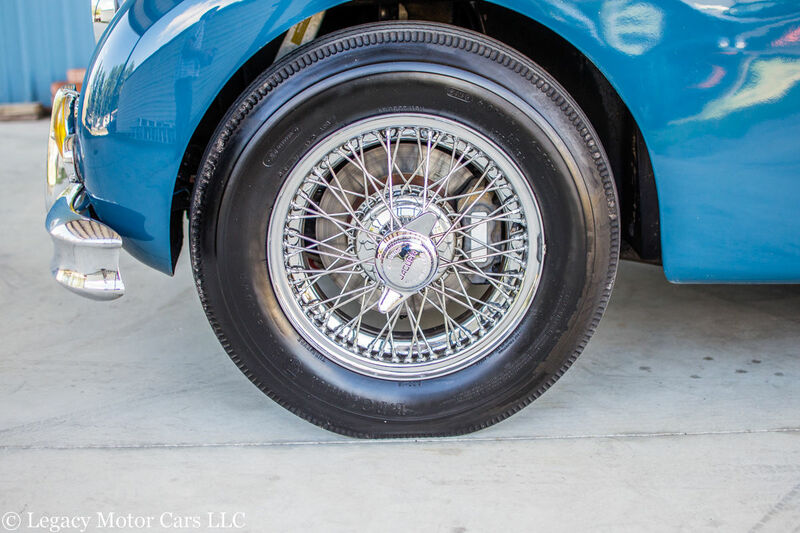 This car was an exceptionally clean California car restored a few years back and has received a few sensible upgrades to make for a more enjoyable experience driving the car. 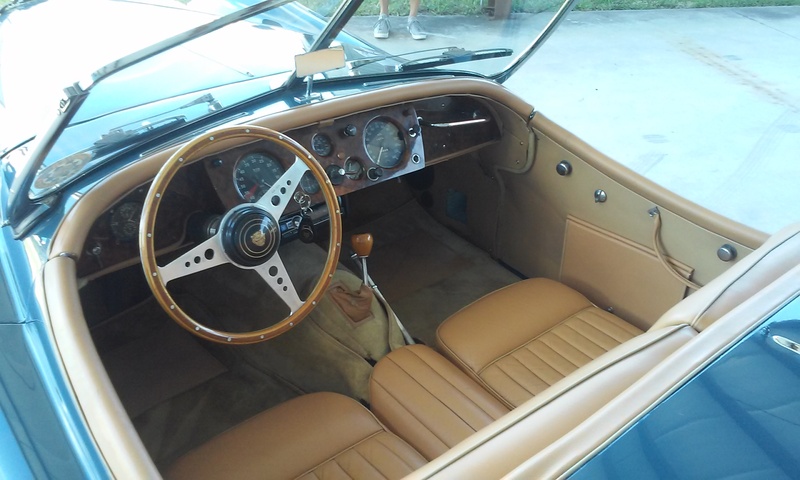 The body was restored to a high standard and remains straight with excellent panel fit and finish. 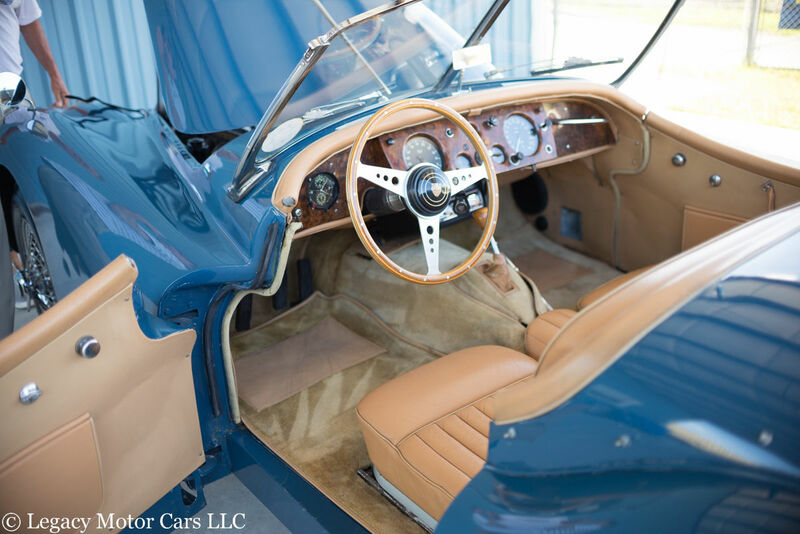 A few minor blemishes demonstrate the car was built for the road and do not detract from the overall appeal of this beautiful automobile. 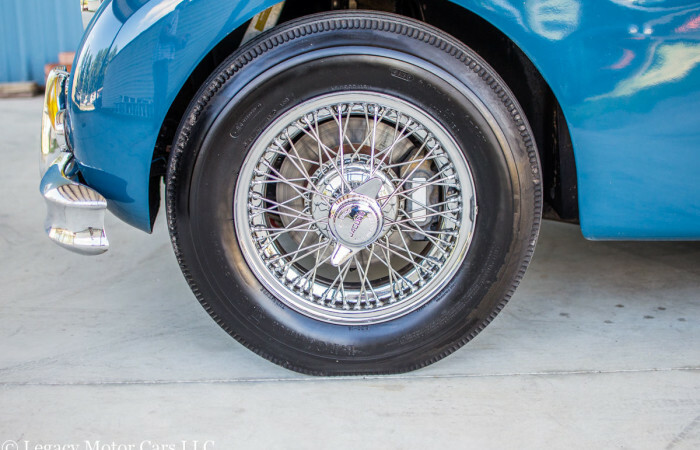 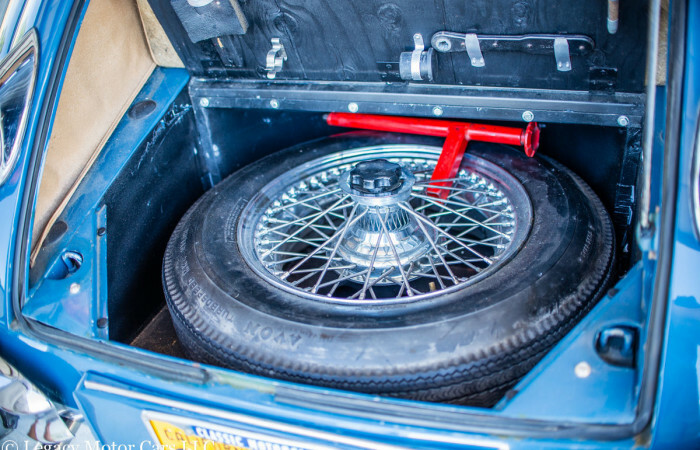 New tires are mounted on the chrome 16 inch wire wheels. 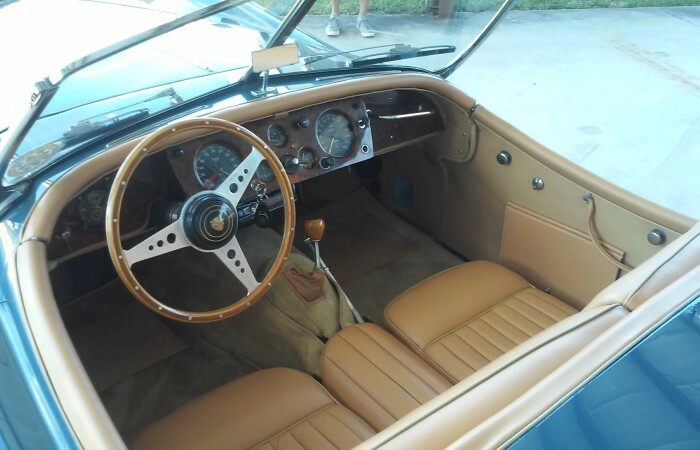 The tan leather interior is also excellent featuring a properly trimmed canvas top, side curtains and Moto-Lita wood steering wheel. 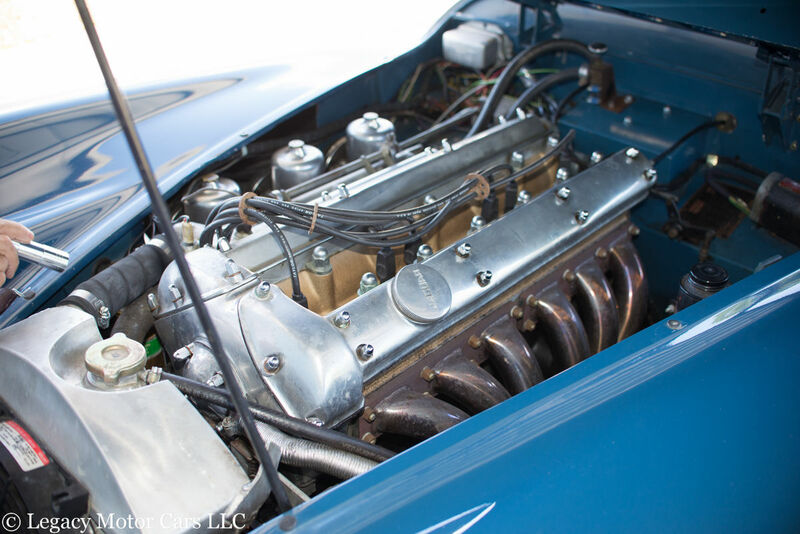 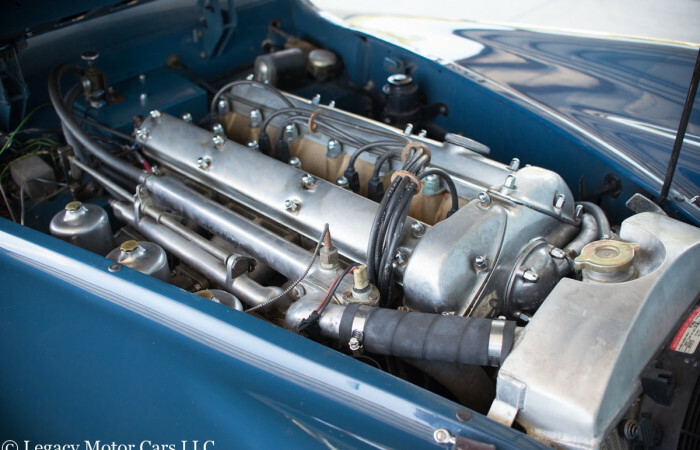 Under the long bonnet is a beautiful running XK inline 6 fitted with 3 carburetors. 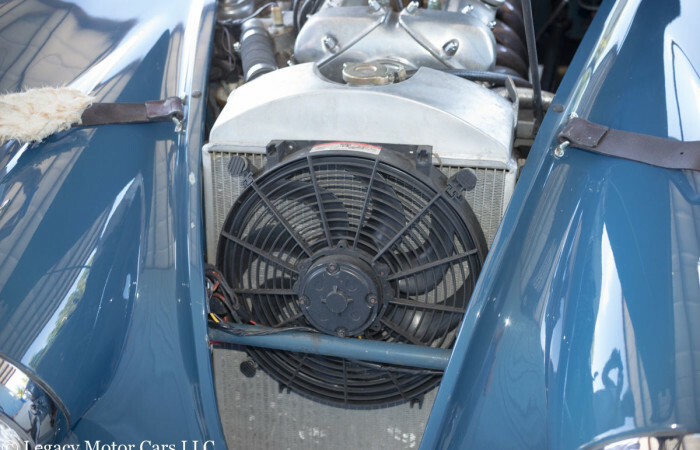 The cooling system has been upgraded to an aluminum radiator and electric cooling fan. 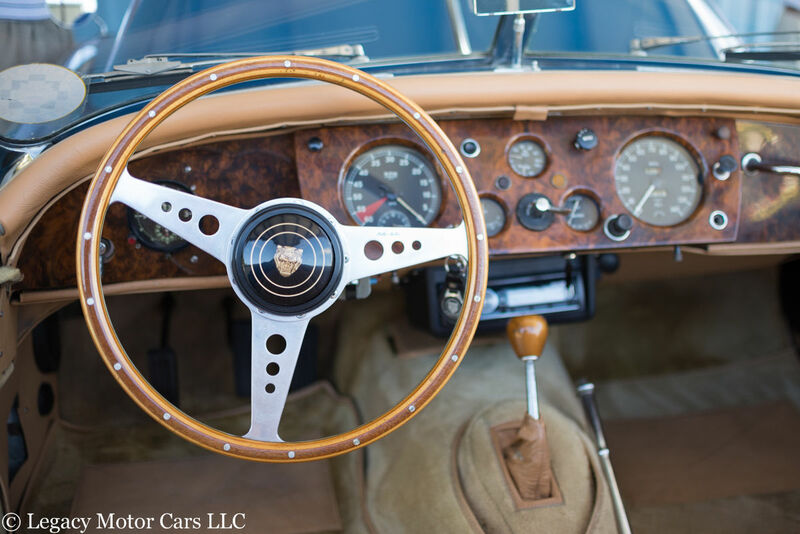 The original 4 speed Moss gearbox has been replaced by an effortless shifting 5 speed, making long distance cruising easy. 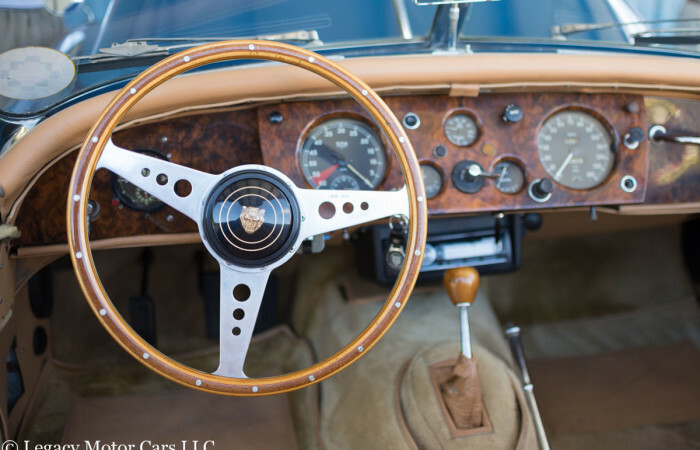 A modern radio has been tastefully hidden under the dash with no noticeable speakers present. 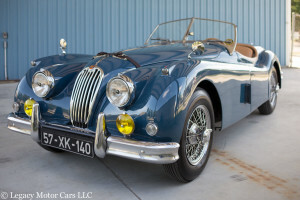 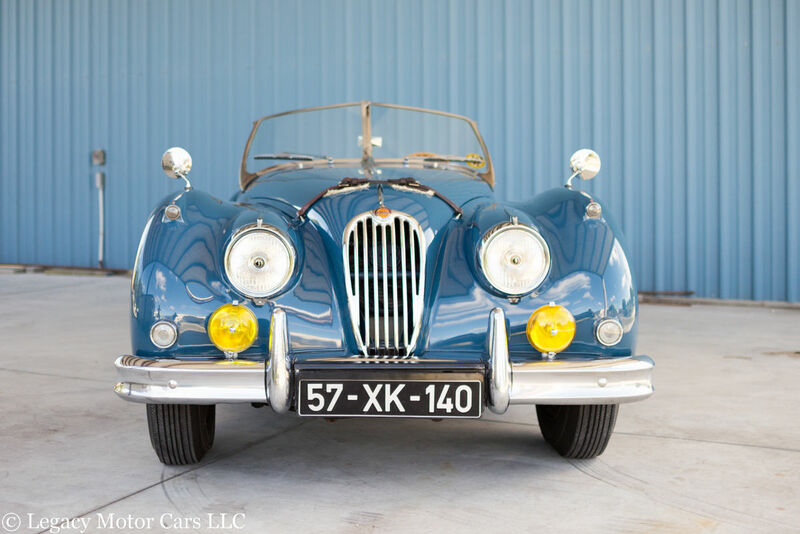 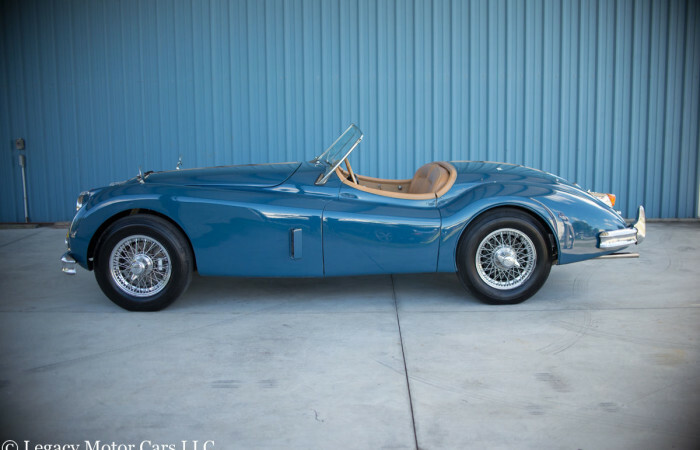 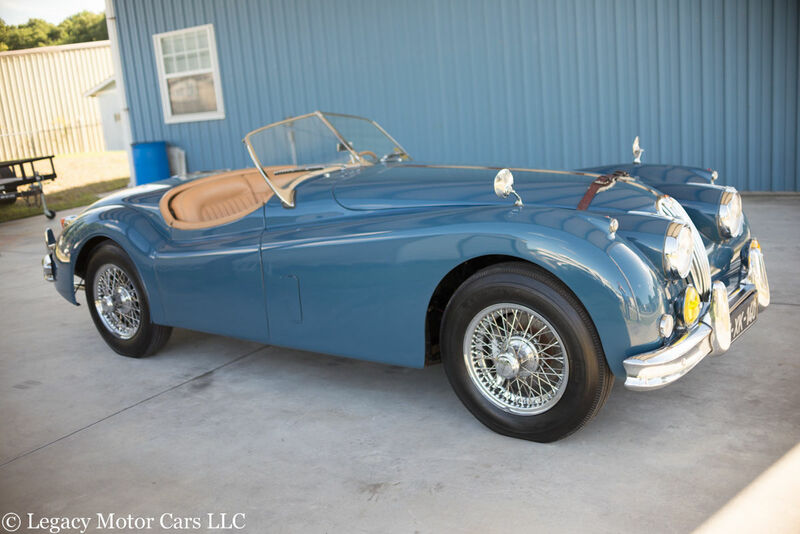 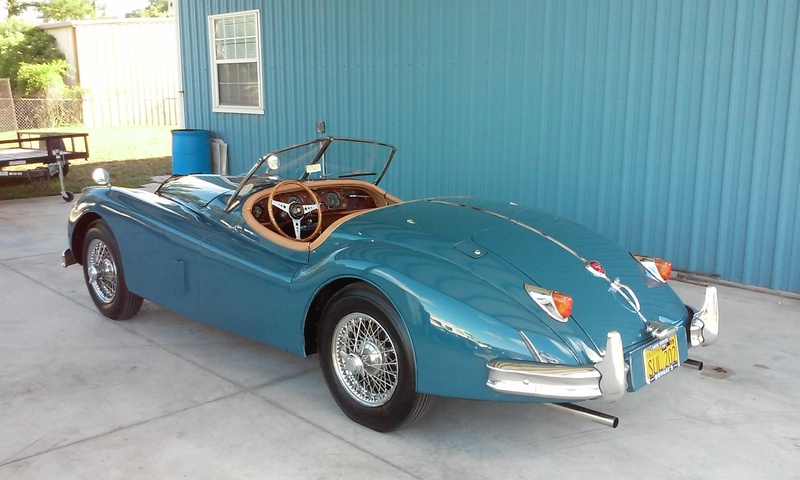 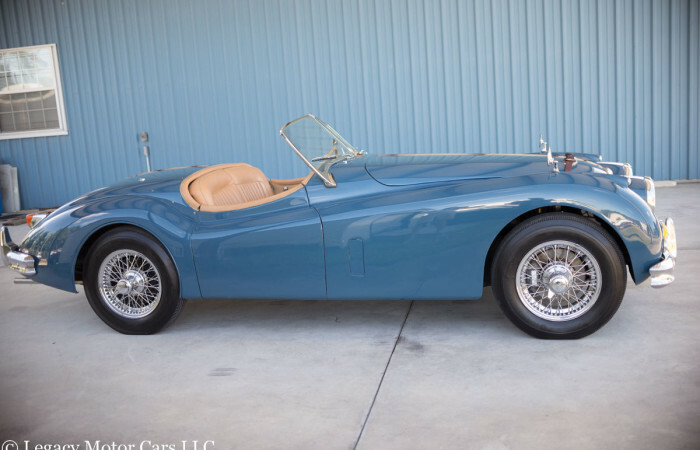 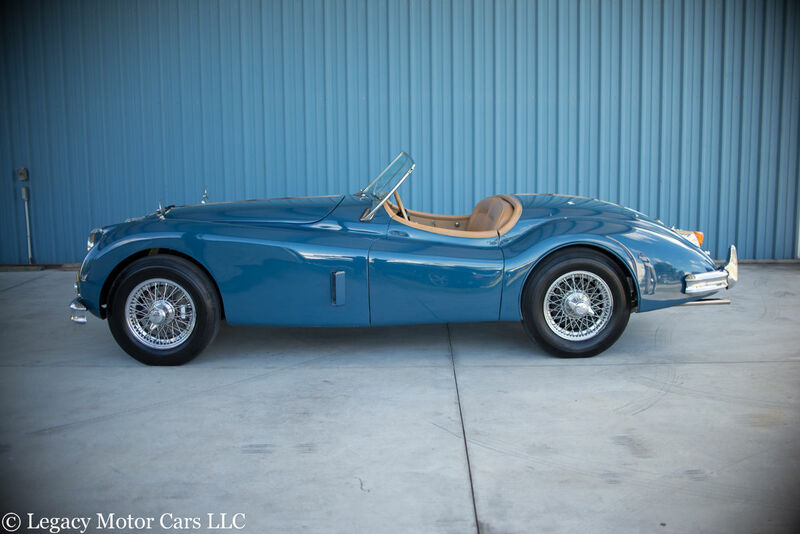 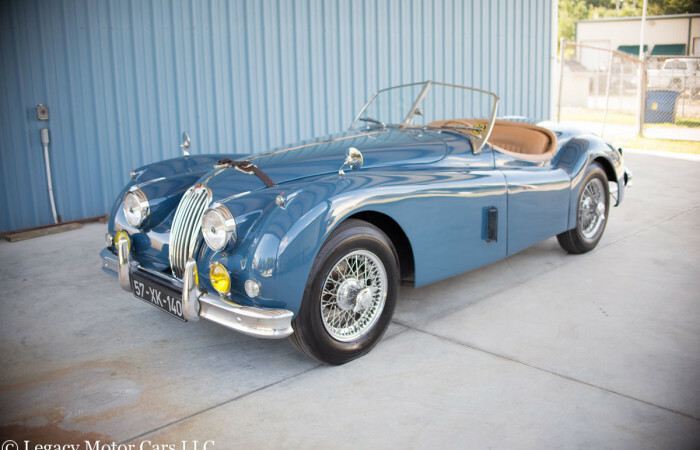 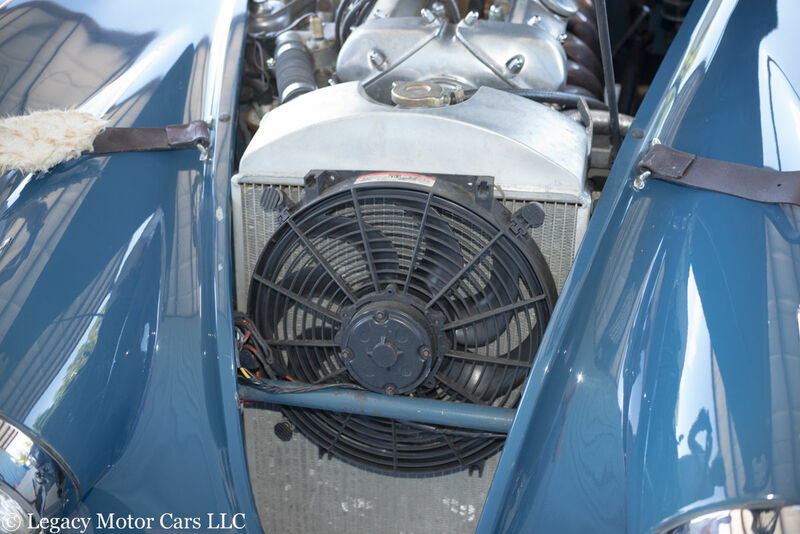 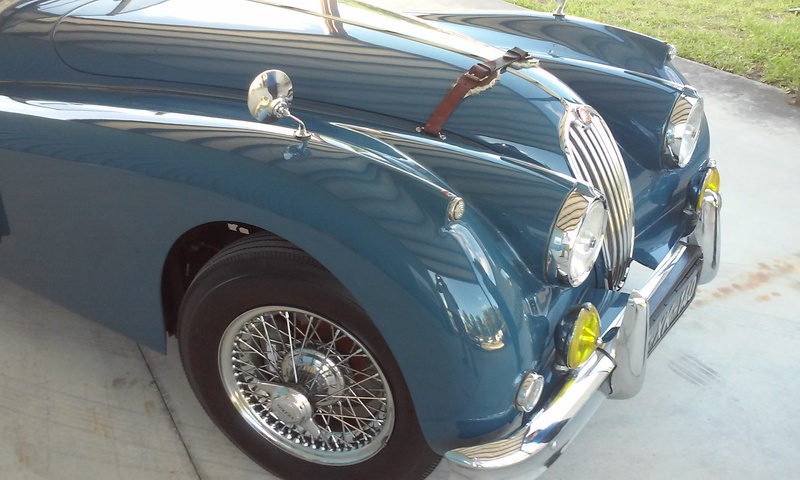 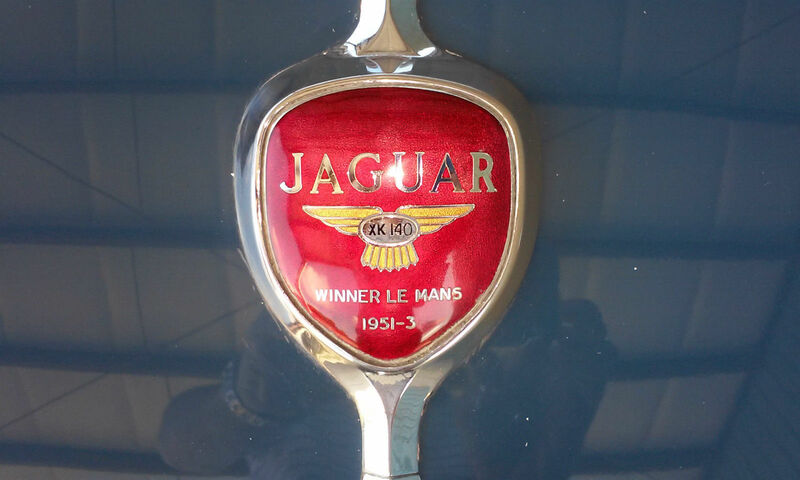 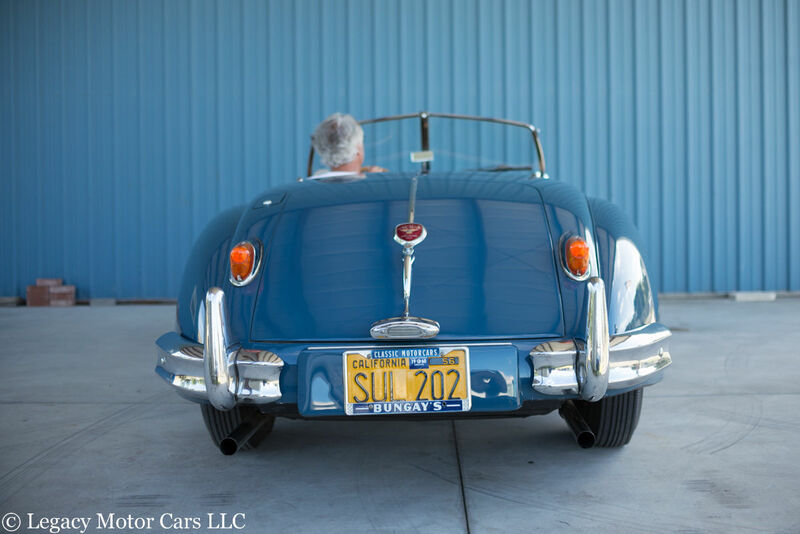 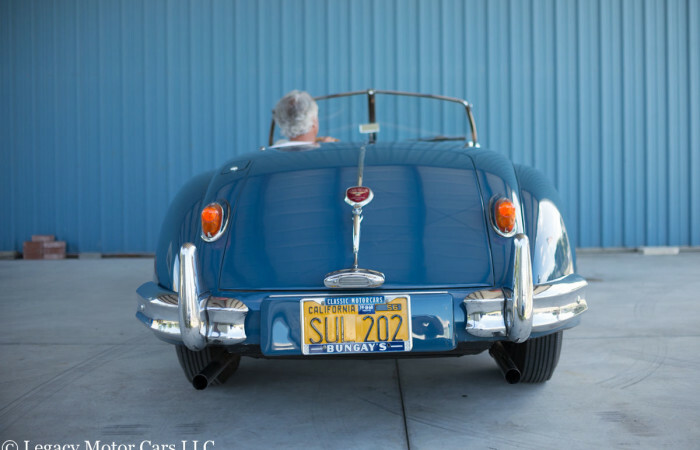 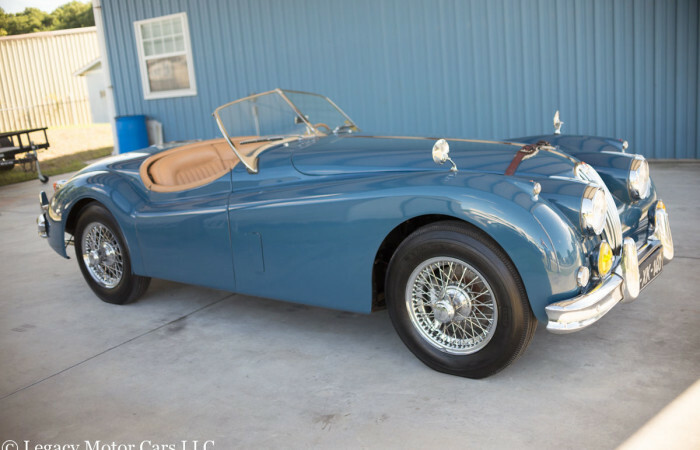 This beautiful XK140 would be welcome at the Colorado Grand or other classic tours and would be great for a weekend of touring on your favorite back roads Included with the sale are the original gearbox, radiator, and steering wheel. 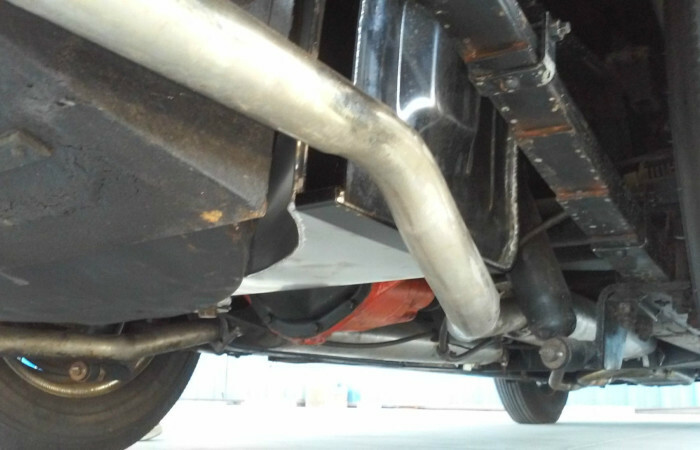 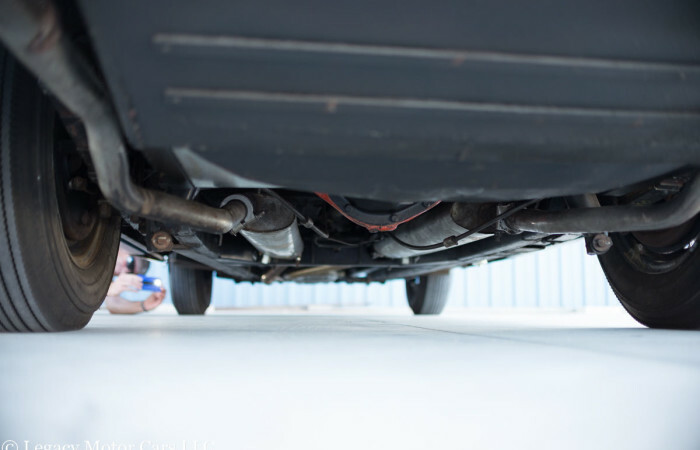 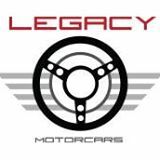 Legacy Motorcars LLC is a licensed and bonded Florida dealer. 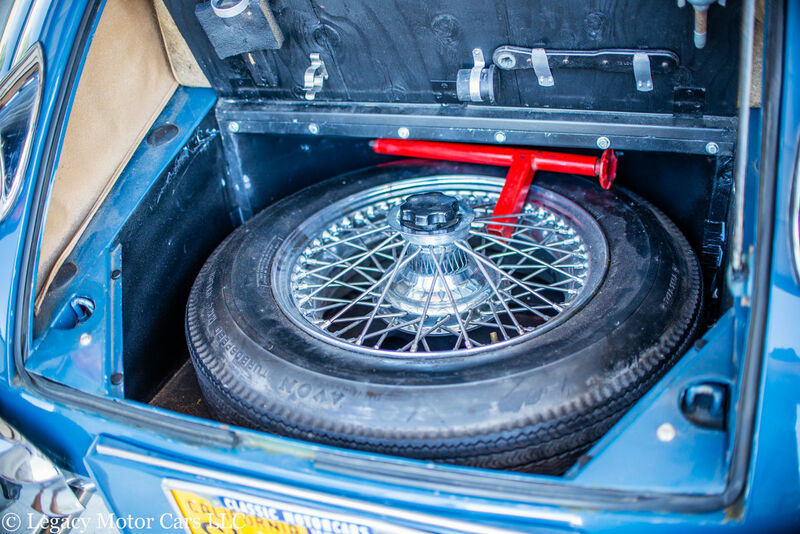 All appropriate taxes will be collected on a sale in Florida. 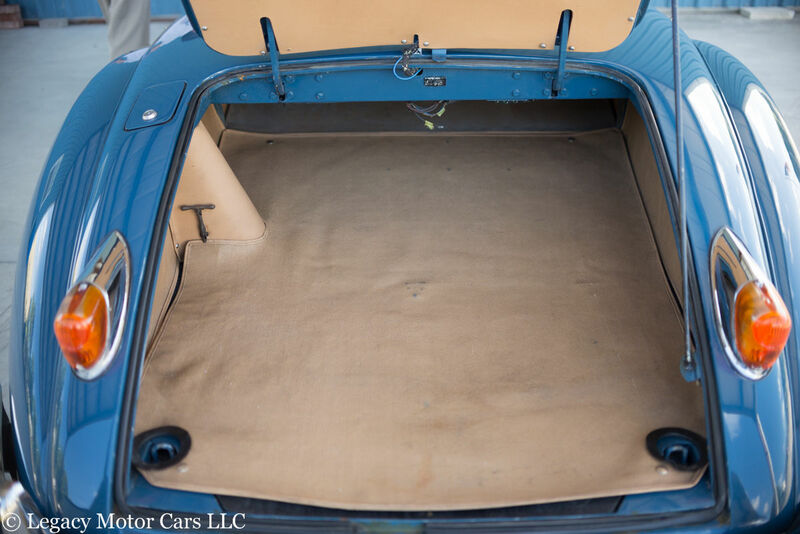 Shipping is the responsibility of the buyer, but we will certainly help in any way possible. We encourage in person inspections. Contact Tom 904 412-4997 with any questions.